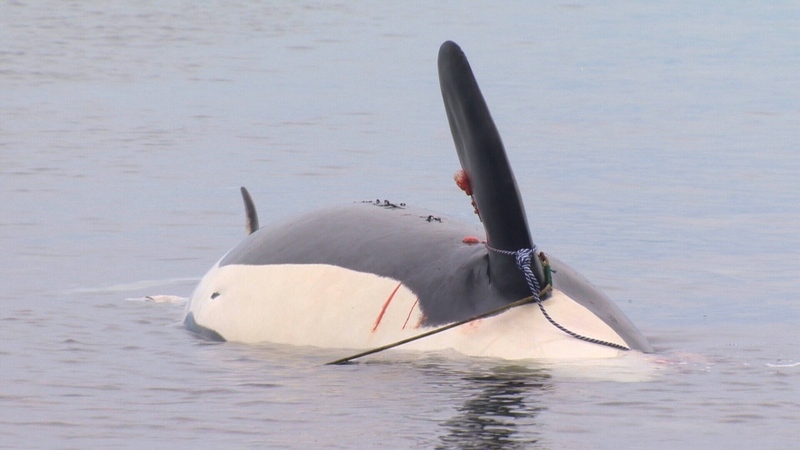 Animal advocates say they are horrified after discovering somebody illegally desecrated the body of a dead orca whale found off the coast of Vancouver Island earlier this week. The body underwent a necropsy Saturday, but officials say overnight, a thief or thieves stole teeth from the remains of “Rhapsody,” as the whale was known to researchers. The 18-year-old pregnant orca was found floating in the water off a fishing resort near Courtenay, B.C. on Thursday. On Saturday, bystander Jean Rowe discovered someone had removed four of the whale’s teeth with a saw. Yellow tape cordoned off the animal's body overnight, but no security was posted to the area. Rowe said a Department of Fisheries and Oceans investigator has been called in to examine the case. Researchers spent much of Saturday dissecting the whale, collecting skin samples, organ samples and fluids to help them determine how she died. They suggest the whale, which belonged to an endangered “Southern residents” pod tracked by experts, may have been giving birth at the time of her death. Officials say solving the mystery of why she died, as well as figuring out who removed the animal’s teeth, will take several weeks to determine. 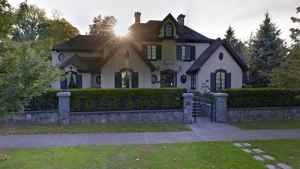 Members of the resident pod are commonly spotted off the B.C. coast between April to November, but usually go into mainland inlets or offshore during the colder winter months. 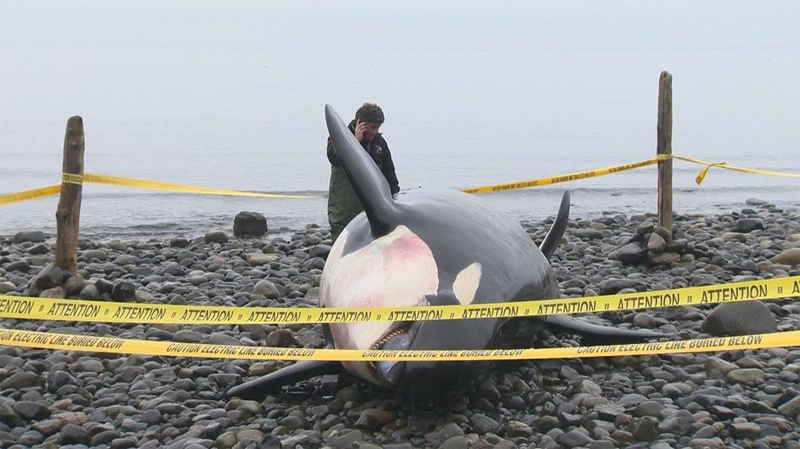 A dead orca whale was discovered floating in the water off a Comox Valley fishing resort by whale watchers near Courtenay, B.C., on Dec. 4, 2014.